The average person kills about 16 ants during a 30-minute run in the woods. 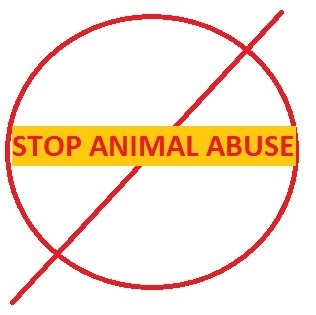 Finally a brand has stepped forward to stop this animal cruelty. In collaboration with some of the World’s most sought after fitness experts, Frants have developed running shoes for animal friendly fitness freaks. 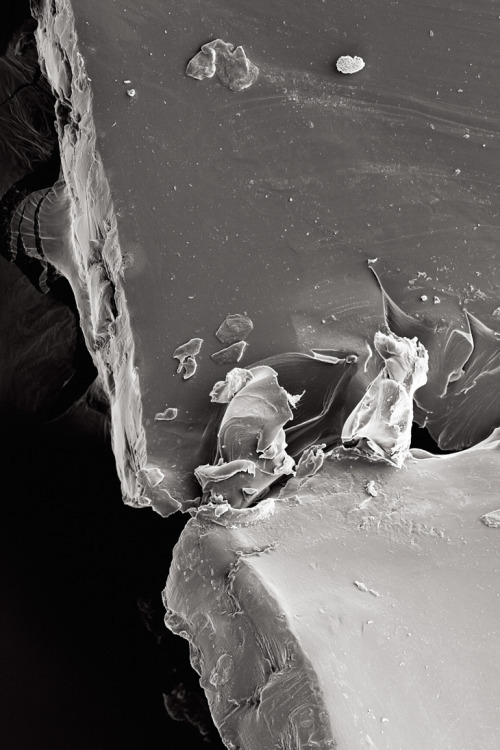 The shoe soles have specifically been developed to offer stability to the joints of athletes, whilst the integrated soft patches protect ants from being crushed. The highly innovative PRECAIR™ technology adapts to the body of ants and bounces off the areas next to the little animals. 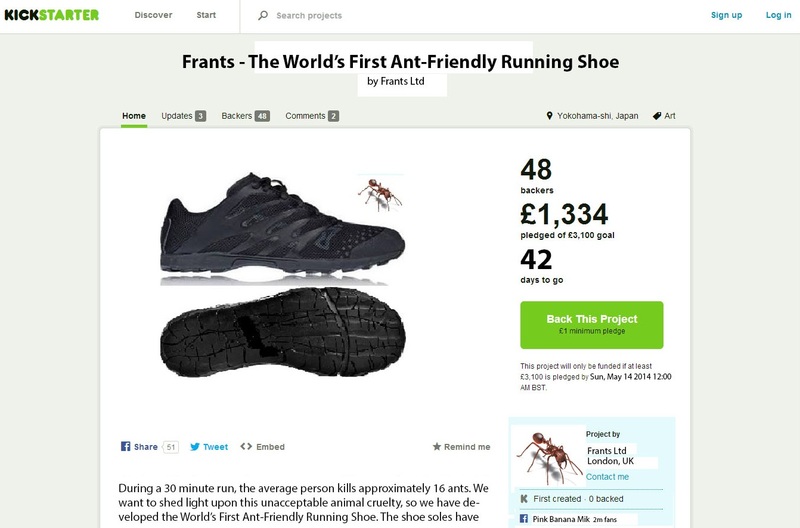 The shoes have been tested and proven safe for ants by runners up to 19 stone. The project has been on Kickstarter for only 3 days, and already more than a third of the funds have been raised. With 42 days to go this is one of the most promising projects in the UK. Do You Wanna Know What Happens If You Mix CHVRCHES & Arctic Monkeys? Gotta love Lauren’s casualness! And it’s addicive. Better than the original? Let us know what you think! These animals look brilliant! Love it. This week’s Track of the Week is by a band we all know well – Paramore. The single itself isn’t brand new, however, we love the happy lyrics and the whole song just remind you of being in love! If you have a bad day just put this track on and certainly a smile will appear on your face. …and the drums are amazing! Everyone was awaiting Haim’s biggest gig in the UK (apart from all the festivals and the gig in my backyard) and they didn’t disappoint! 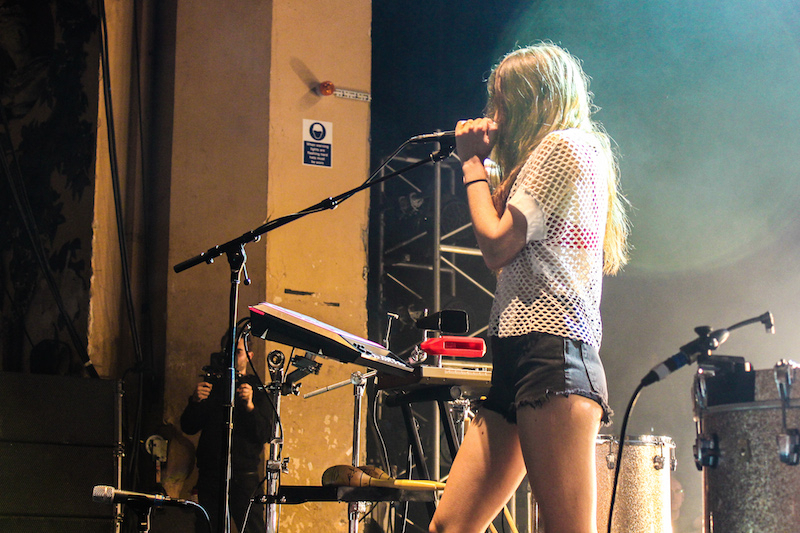 It was the third time I’ve seen Haim on one of their UK tours and despite me knowing that they are great performers, they still exceeded my expectations. Danielle’s voice was – as always – just incredible, plenty of people would swap their left leg and their right ear for the vocal tones and her amazing guitar skills! 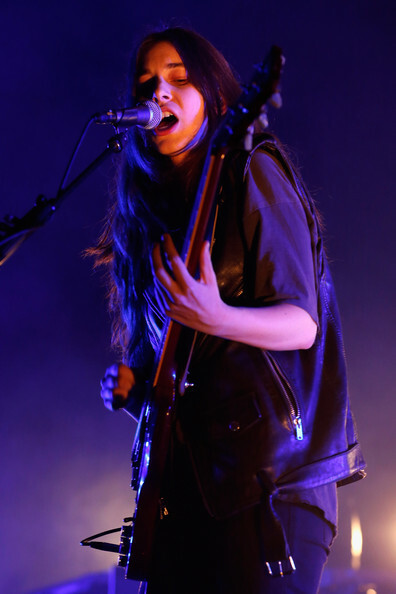 Alana Haim again convinced the audience with her charming smile and ability to not only sing, but also play every single instrument on this planet. Don’t you regret not having joined the band when your brothers / sisters asked you when you were younger? You could have been the new Haim. 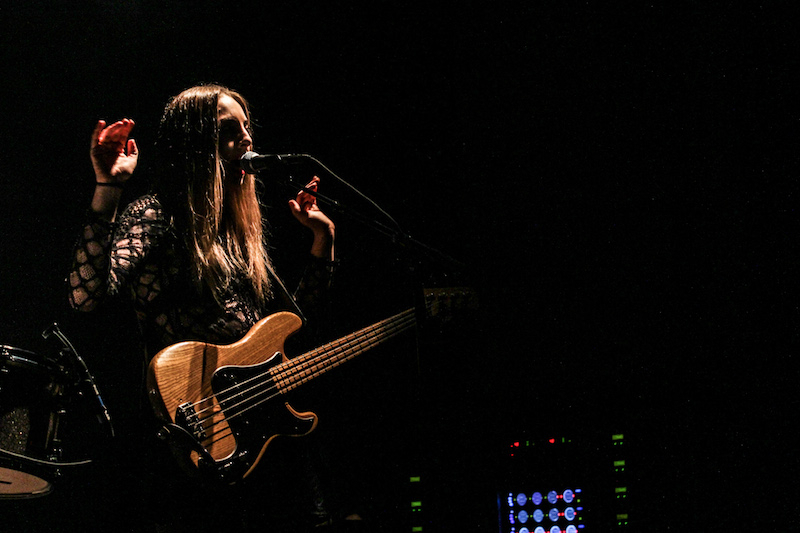 Regardless – it’s hard to be in the same street as Haim, because they are just amazing performers and it seems like it comes natural to them. Keep going girls, we love you! Here are some more images of Brixton – well, the gig, not really the place. If anyone wants to see pictures of Brixton, then let me know. For all of you who have managed to ignore every radio station and magazine in the country: here’s their new single! Now don’t underestimate these little insects. The article below is taken from Wired – enjoy the read! Bees have been playing videogames as part of a study into how the insects pay attention to their surroundings. Researchers from the Queensland Brain Institute in Australia implanted electrodes into the brains of bees. The bees were then tethered and put onto an air-suspended ball. Walking on the ball would control a blinking green light on a screen. The idea was to test whether bees were using top-down attention (making choices about where to focus their attention) or bottom-up attention (simply reacting to external stimuli like light and noise). 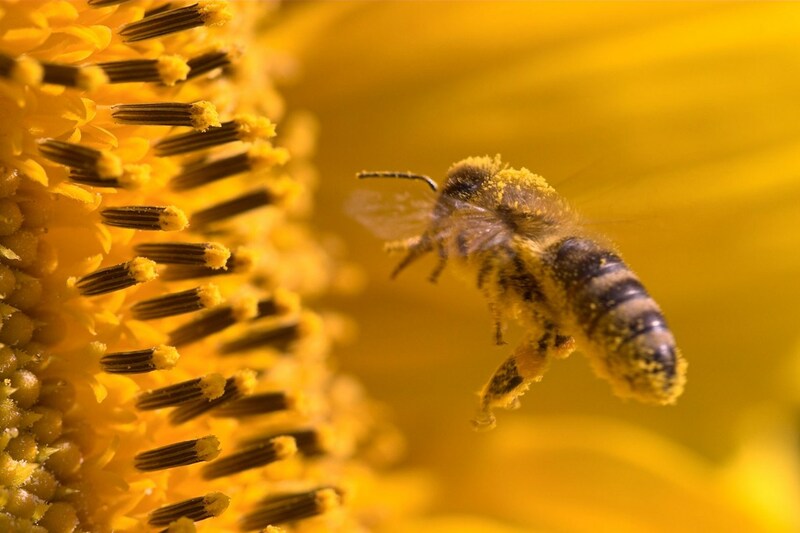 By monitoring the frequency of the bee’s brain activity and matching it to the frequency of one of the pulsing lights, the researchers could tell exactly where the bees were focusing. When there were lots of different frequency objects available selective behaviour in the medulla (an optic ganglion) was observed prior to the behavioural selection of a particular stimulus. According to Van Swinderen, “when we see a frequency tag that’s associated with an object suddenly starts flaring up in the optic lobes, it means the bee will actually select that object and move it to the front and walk towards it.” These effects were reduced when the bees were unable to control the visual displays.